It’s got some very fluffy characteristics to it. Rather reminiscent of mohair or angora goats. 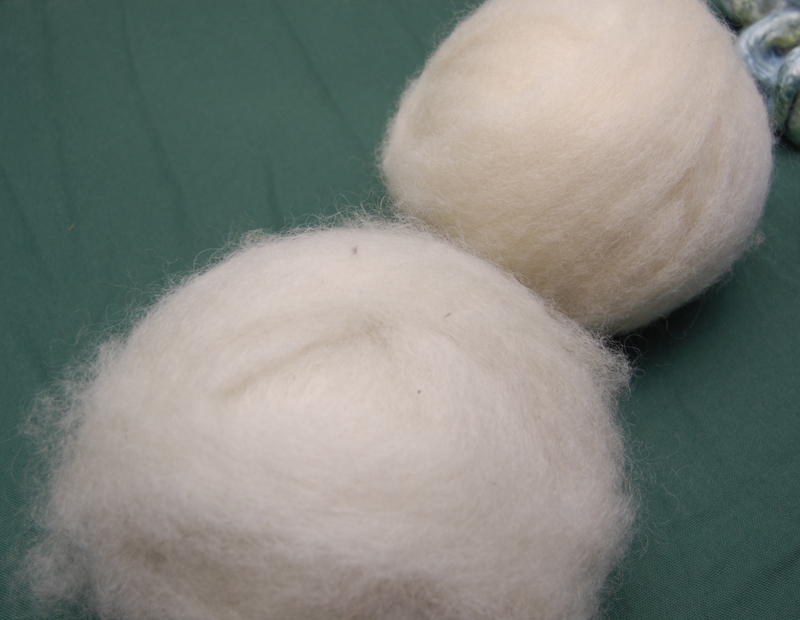 I bought two balls of wool roving—one had more Wensleydale in it than the other. You can see the “fuzz” difference in the picture. The fuzzier one in the front had more Wensleydale. Both balls are really soft. 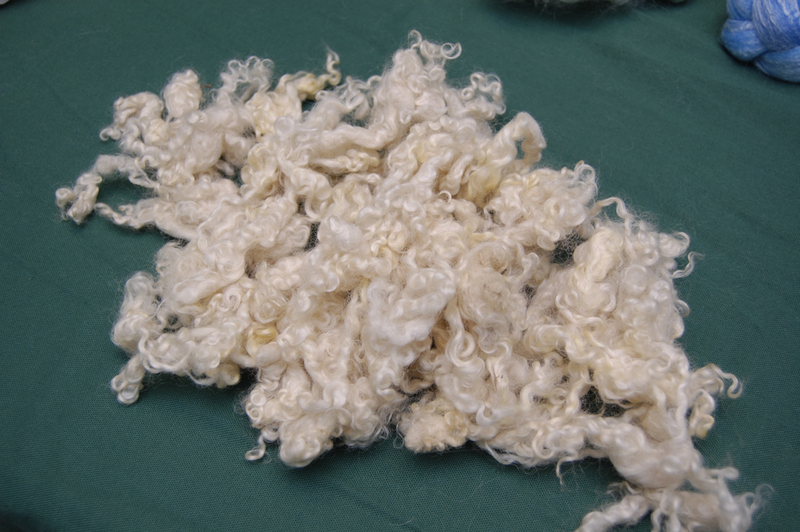 Then I got some locks of wool that had been in a washing accident and felted up a bit. I’m going to spin them in with some singles for a thick and thin sort of yarn. Her daughter was there plying some yarn on a double treadle wheel. I’m not sure what kind it was, but she let me try it. It was so smooth! And it was weird using the two foot pedals. It felt like I had to work twice as hard to get the twist into the yarn. I was plying from two spools sitting over at my right, and the strands coming off of them kept tangling around each other. One of the ladies watching suggested that I put one of my legs between the two singles. It worked wonderfully. Nobody panic; I still like my antique wheel. It has a character all its own. In fact, I’m now second guessing changing the milk paint color when we get it all tightened up. So many hard decisions. Too bad we can’t actually feel the fleece through the internet!